in an economical footprint to maximize valuable real estate in your workout facility. 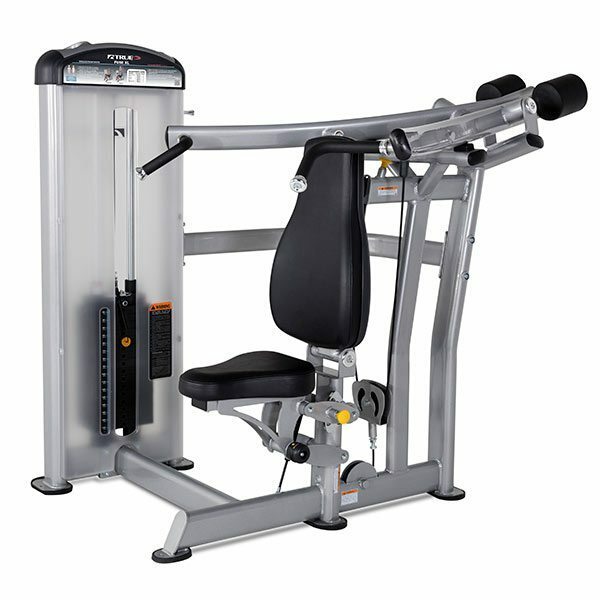 The TRUE FUSE-0100 Leg Extension / Leg Curl machine features a 5 position seat assembly, which uses a four-bar linkage with gas cylinder assist for stable, low friction adjustments. 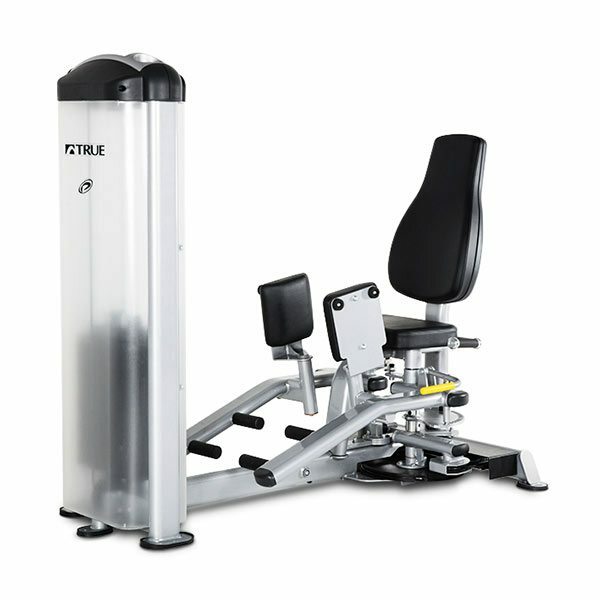 The TRUE FUSE-0200 Seated Leg Curl machine features a 7 position start range limiter. This, combined with multiple position thigh, ankle, and back pads provide comfort and a precise fit for a wide range of users. 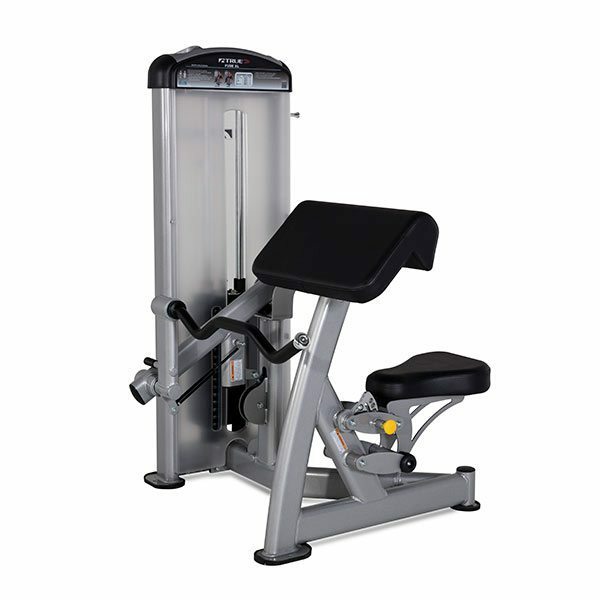 The TRUE FUSE-0300 Leg Press machine features a 9 position seat assembly, which adjusts easily using the ergonomically designed paddle handle. 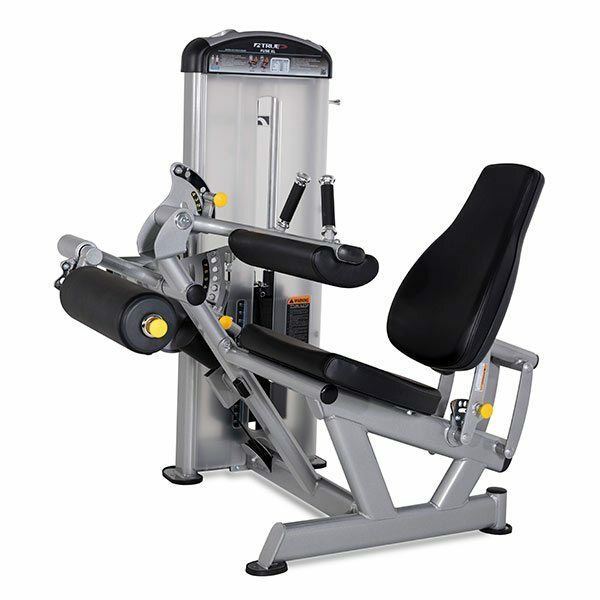 The TRUE FUSE-0400 Inner/Outer Thigh Machine is perfect for your fitness facility, serving a dual function to exercise both adductor and abductor muscles. 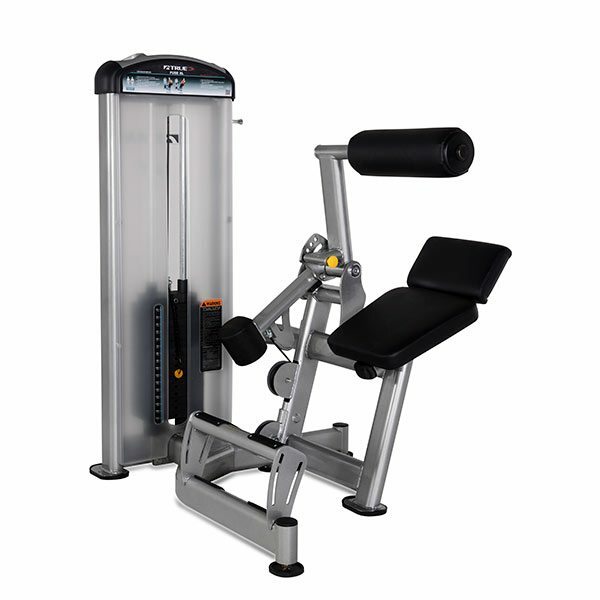 The TRUE FUSE-0600 Biceps Curl machine features a 5 position seat assembly, which uses a four-bar linkage with gas cylinder assist for stable, low friction adjustments. 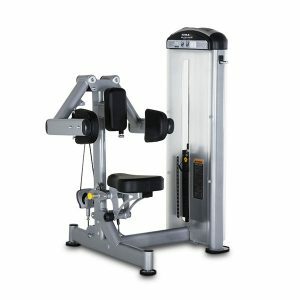 The TRUE FUSE-0700 Shoulder Press machine features standard and neutral grips that combine with a 3 position adjustable back pad and independent converging press arms to provide true unilateral movement through a complete range of motion for greater muscle recruitment and a more efficient workout. 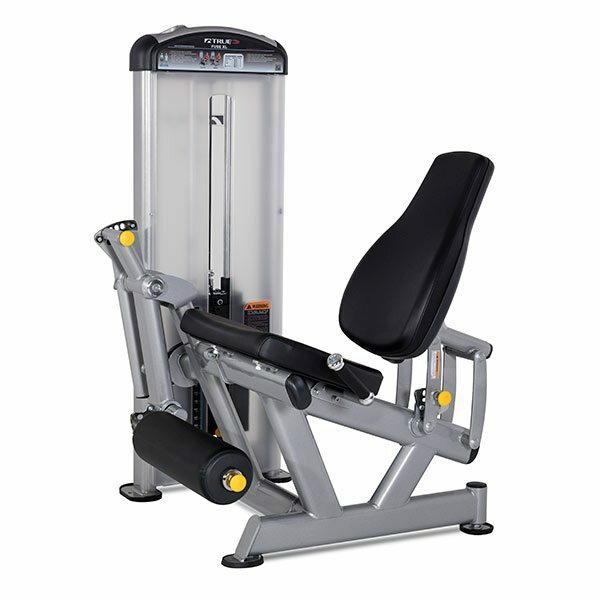 The TRUE FUSE-0800 Deltoid Raise features Independently-operating dual press arms, and the seat and chest pads are angled at 5 degrees for proper ergonomic and support. 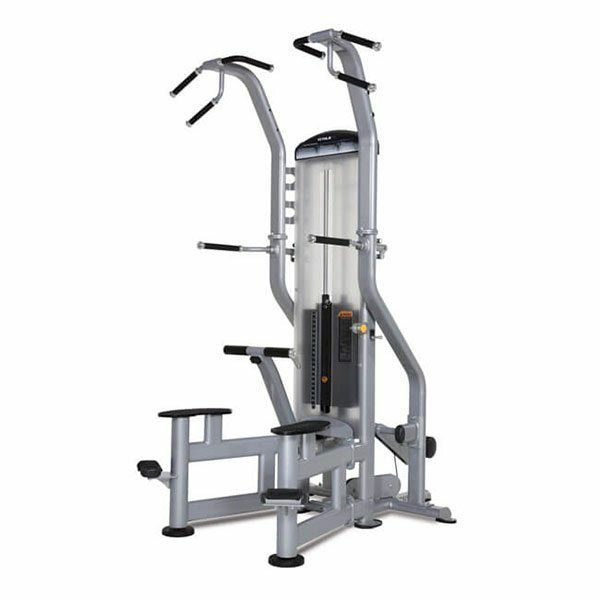 The TRUE FUSE-0900 Chest Press machine features a 5 position seat assembly, which uses a four-bar linkage with gas cylinder assist for stable, low friction adjustments. 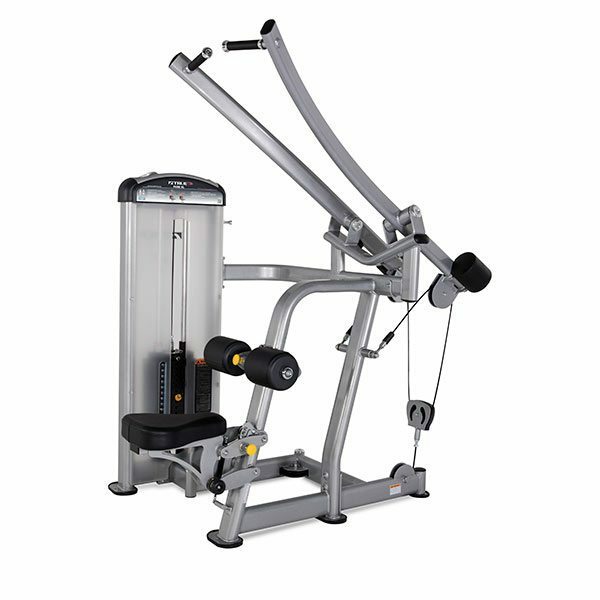 The TRUE FUSE-1000 Pec Fly / Rear Delt machine includes a 5 position seat assembly, which uses a four-bar linkage with gas cylinder assist for stable, low friction adjustments. 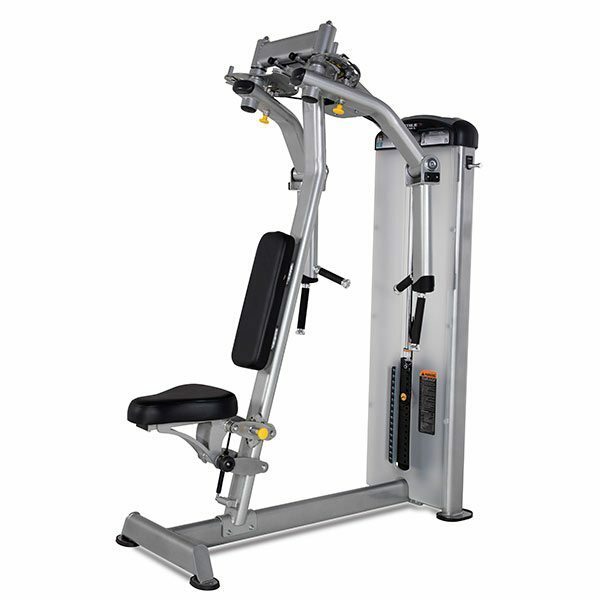 The TRUE FUSE-1100 Lat Pulldown machine features a 5 position seat assembly, which uses a four-bar linkage with gas cylinder assist for stable, low friction adjustments. 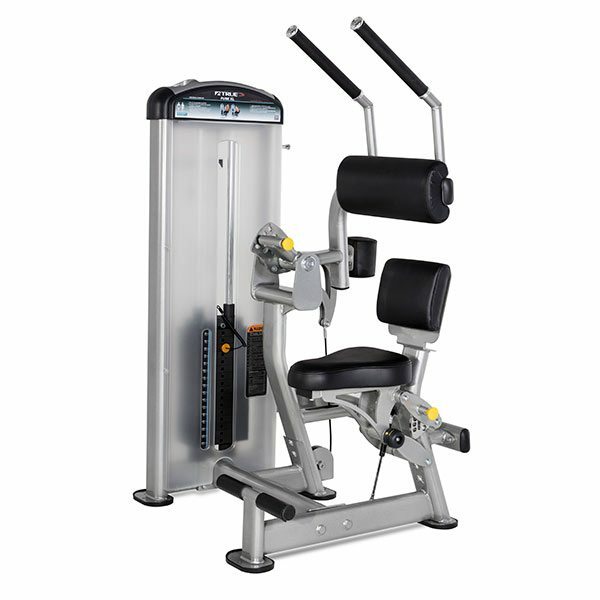 The TRUE FUSE-1200 Seated Row machine features a 5 position seat assembly, which uses a four-bar linkage with gas cylinder assist for stable, low friction adjustments. 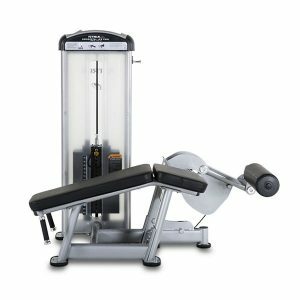 The TRUE FUSE-1300 Low Back Extension machine features a 4 position adjustable roller pad and angled lumbar pad for proper alignment and support throughout entire range of motion. 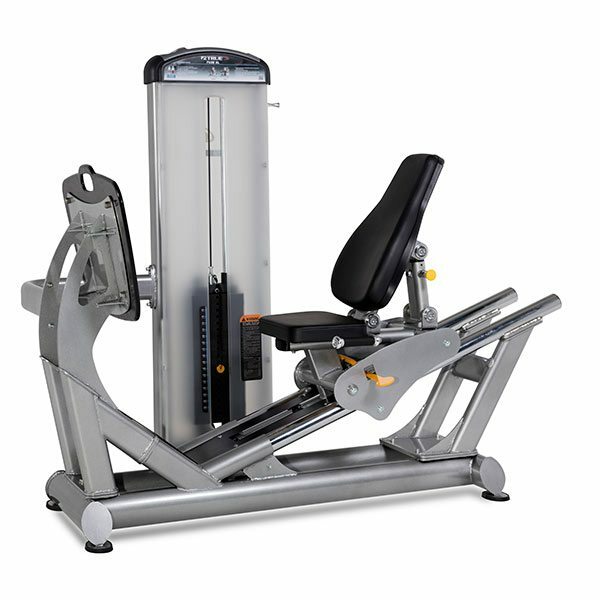 The TRUE FUSE-1400 Abdominal machine features an easy entry and exit design with a 4 position adjustable roller pad, dual hand grips, and contoured lumbar pad for pelvic stabilization and enhanced isolation of the abdominal region. 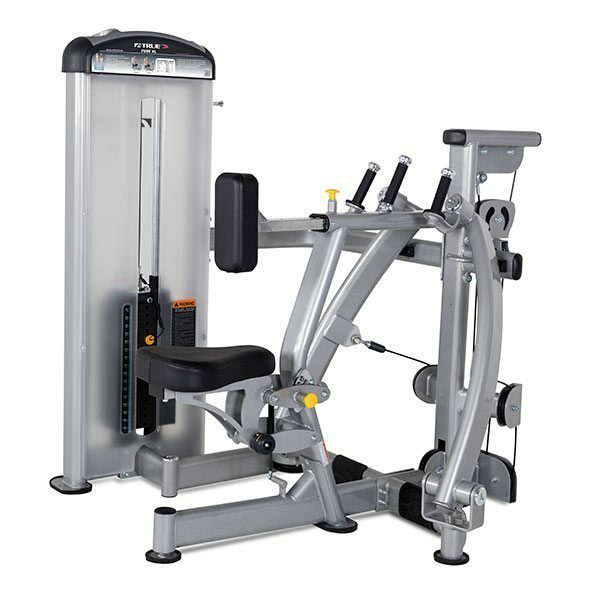 The TRUE FUSE-1500 Triceps Pushdown machine features a 20° fixed angle contoured back pad, which provides support and proper alignment during exercise. 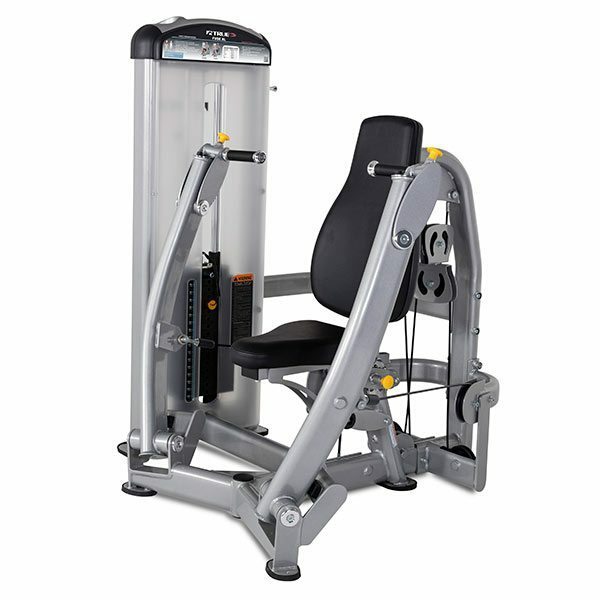 The TRUE FUSE-1700 Rotary Torso features a low-seated frame and cushioned seat make the FUSE-1700 Rotary Torso not only accessible but comfortable. 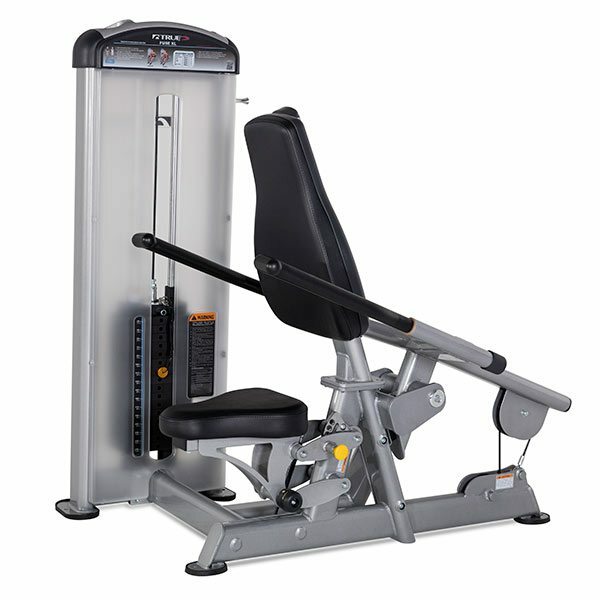 The TRUE FUSE-1800 Horizontal Leg Curl has been designed with a 15-degree angle between the chest and thigh pads reduce lower back stress while using; users can adjust resistance easily. 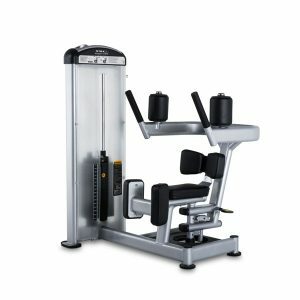 The TRUE FUSE-4000 Weight Assisted Chin/Dip is designed to meet the demands of today’s commercial fitness facilities and is the perfect complement to any selectorized circuit.